Katy Perry too hot for Sesame Street, LOL!!! It was announced this week on TMZ that a New Years Eve Sesame Street special starring Katy Perry has been partially canceled due to her revealing wardrobe choice. 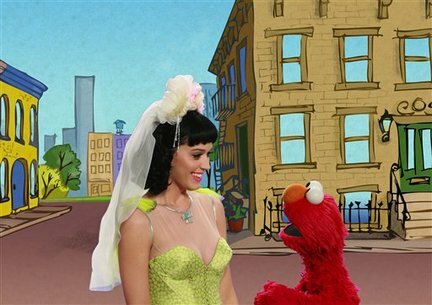 Katy shot a segment for the show in which she sings a cleaned-up version of her song, “Hot N Cold” with Elmo. The video made its way to YouTube on Monday and produced a million views, but some parents started complaining about how much cleavage was being shown. What the YouTube viewers were unaware of was that what seems to be Katy’s breasts, is actually a flesh-colored mesh that goes all the way to her neck. 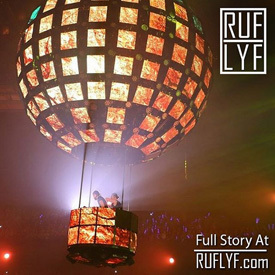 We’ve learned producers have decided not to air the song on the show. WOW, talk about some great comments!!! Calm down parents!! !